As we head into the primary elections, I decided to re-visit some of my older articles and comment posts to remind people why Gary Jensen should not be elected for Bellingham Port Commissioner. . .or for any other elected office. Today’s reason: In December 2012, during the scoping period for the EIS for Gateway Pacific Terminal, Mayor Jensen was spoon-fed a pre-written Op-Ed for his approval by SSA Marine’s consultant Craig Cole, and Smith & Stark, a Seattle-based public affairs and strategic communications firm hired by SSA, to submit to The Bellingham Herald for publication. 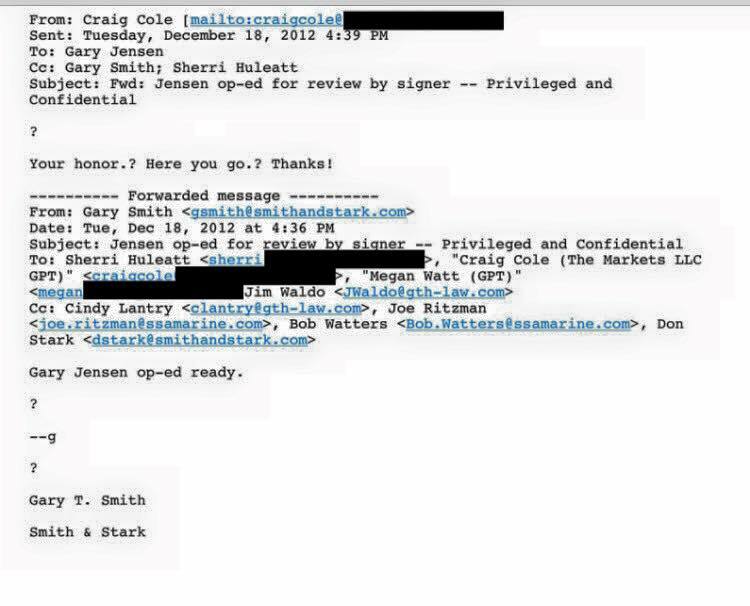 Smith & Stark partner Gary Smith, sent a December 18, 2012 email to Craig Cole (and copied SSA Marine Sr. VP Bob Watters and SSA Marine VP of Business Development Joe Ritzman) with the Op-Ed ready for Jensen’s review. Cole then forwarded it to Mayor Jensen a few minutes later, for the mayor to review and approve, as the supposed author of the opinion piece. The Op-Ed, entitled, “Gateway Pacific Terminal will make a great neighbor,” was published in the Herald on December 21, 2012, and the author listed was Mayor Gary Jensen. 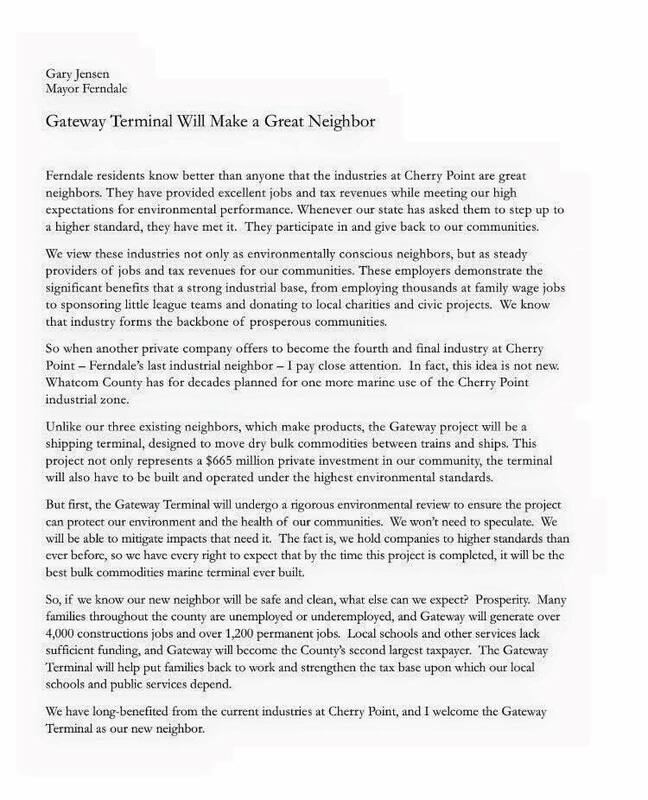 Mayor Gary Jensen’s Op-Ed said “I welcome the Gateway Terminal as our new neighbor.” Mayor Jensen has rolled out the welcome mat for a 48 million ton per year coal terminal and he let the permit applicant, SSA Marine/Pacific International Terminals, and its PR experts write their own welcome message which he was perfectly willing to deliver. This entry was posted in Commentary, Facebook Post, Information and tagged Craig Cole, Gary Jensen, Gateway Pacific Terminal, GPT, Pacific International Terminals, Smith & Stark, SSA Marine. Bookmark the permalink.